If I made a cupcake to match these nails... I'd need a whole loooooooot of sprinkles! 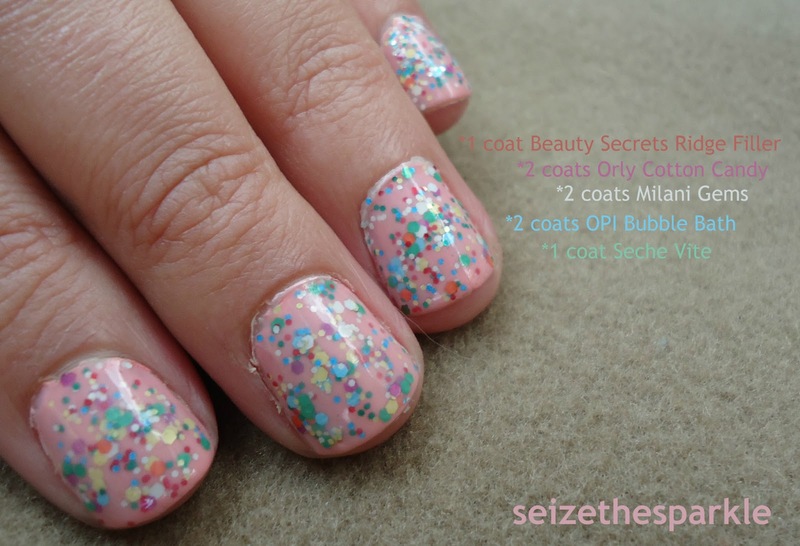 So, obviously this is inspired by Deborah Lippman's Candy Shop. I mean, isn't that what all pink jelly-ish glitter polishes are aspiring towards? 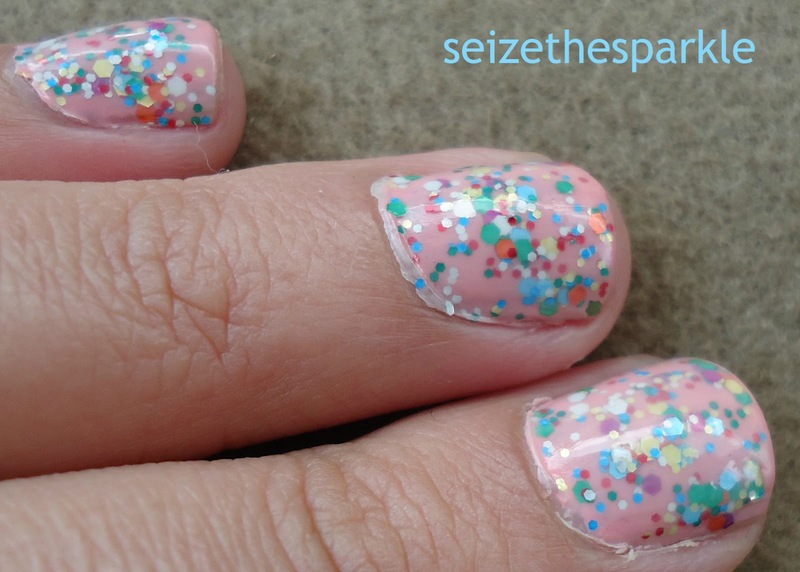 Okay... so this is nowhere near as squishy as Candy Shop looks on the nails, BUT this particular hue of pink works way better with my skin tone. 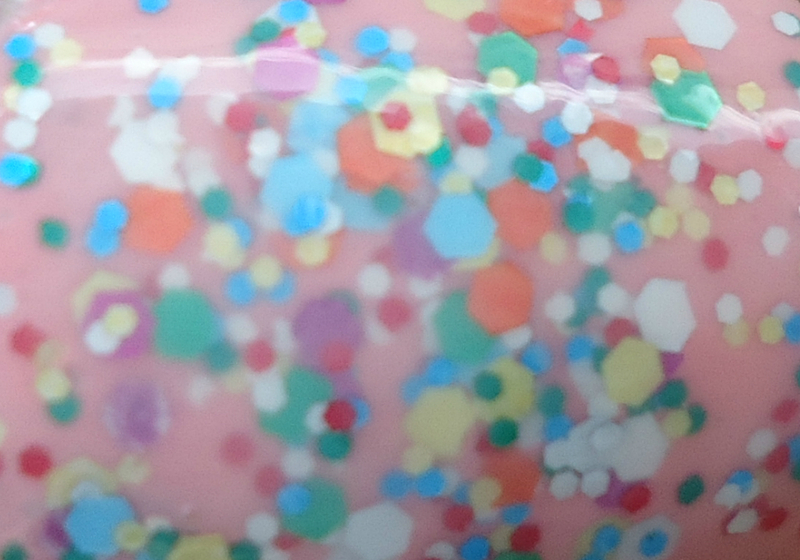 Candy Shop is a bluish pink, while Cotton Candy has a very slight Orange/Peachy undertone to it. Would you rock Pink Cupcake Nails?